Note: Ilyce Glink offers a clarification to comments made during our discusson about tax changes and how they would affect first-time buyers. 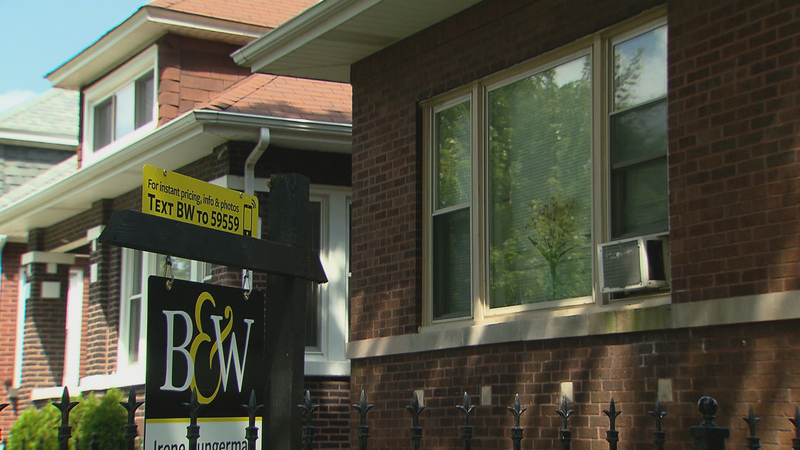 With interest rates finally starting to rise after post-recession lows, some renters are looking at buying property of their own. But for first-timers, buying a home can seem a daunting proposition. What are the factors to consider? What are the mistakes to avoid? And is now the right moment? In the fourth edition of “100 Questions Every First-Time Home Buyer Should Ask,” real estate and personal finance author Ilyce Glink aims to answer those questions and more. Another big change since the book’s first edition: the dominance of the internet in searching for homes and mortgages. Glink cautions that some listings can lie – and that the ease of searching through properties means potential homebuyers might be eyeing options they can’t actually afford. “When you are looking online, you think to yourself, ‘Oh, technically I could afford that, because I’m paying it in rent.’ But you forget about all the other expenses that go into homeownership. You forget how much your taxes will factor in on top of your mortgage. You forget about the insurance costs. Understanding all the costs that go into buying a house is key to ending up with something you feel like you can afford easily,” Glink said. Glink joins Chicago Tonight for a conversation. Here comethe Millennials. Finally. And, according to the entire real estate industry, not a moment too soon. For the past decade, since the Great Recession forced so many Americans to put their lives on hold, the world of real estate has been praying for the arrival of Millennials on the home-buying scene to begin buying, selling, fixing up, and financing property. It’s been quite the waiting game: when I first started writing about real estate, the average age of a first-time home buyer was 26. Today, it’s nearly 34. There are a lot of explanations for the delay: Millennials who graduated from college in 2008 to 2012 found a weak job market. Many of them moved home instead of moving out with a friend (or by themselves) and renting their own place, typically a precursor to home buying. Roughly a third of them are still living at home. Older Millennials watched as parents lost jobs, tapped their 401(k)s to survive, and took jobs that paid less (and often didn’t offer benefits), and their families struggled to make ends meet. Millions of home- owners couldn’t sell when they needed to and lost their homes to foreclosure, destroying credit histories and confidence in the process. When you lose confidence in yourself and your ability to pay the bills, it’s awfully hard to make the commitment to buying some- thing as large and as permanent as a house. But Millennials also have cash flow issues, thanks to their student loan problem. * About 44 million Americans are paying off student loans these days, to the tune of $1.4 trillion total. The average amount of student loan debt has tripled over the past twenty years, and most 2017 graduates were carrying about $36,000 worth of student loansas they made their way out of college and into their adult lives. • Default rates are running between 7 and just over 11 percent, depending on the type of loan and whether the school was private or public, according to the Department of Education. For those Millennials who are making their payments, paying off student loans can delay home buying because monthly debt service payments are deducted from the amount someone has available to repay debts.‡ That, as we’ll discuss later in the financing section of the book (or, turn to page 152 to start calculating your available income right now), leaves you less income to qualify under the government’s Ability to Repay rules. Finally, one ofthe great drivers of homeownership is the next generation. Along with everything else, Millennials have time-shifted marriage and children. They’re marrying later than any generation and having kids when they’re older. If you’re single, or even if you’re in a long-term relationship but withou tkids, you’re probably not looking for a house in the suburbs with a good school district. And, because you’re changing jobs fairly frequently,*having a longer-term commitment to real estate isn’t particularly high on the list. But times they are a-changing. According to the latest figures from the National Association of Realtors, Millennials accounted for 34 percent of home buyers in 2016, the latest year for which data is available. And almost all of them were buying homes for the first time. Excerpted from 100 QUESTIONS EVERY FIRST-TIME HOME BUYER SHOULD ASK, FOURTH EDITION. Copyright © 2018 by Ilyce Glink. Published by Three Rivers Press, an imprint of the Crown Publishing Group, a division of Penguin Random House LLC. Below, Ilyce Glink offers a clarification to comments made during our discusson about tax changes and how they would affect first-time buyers. Current tax law says that a homeowner need only live in his or her home for two out of the past five years in order to qualify for the Section 121 tax exclusion. That IRS rule allows homeowners who qualify to keep up to $250,000 in profits (or up to $500,000 if you’re married, filing jointly) tax free. According to the National Association of Realtors, both the House and Senate tax reform bills had originally proposed increasing the length of time a homeowner would need to live in primary residence to qualify for the Section 121 exclusion from two out of the past five years to five out of the past eight years. But in the end, this change didn’t make it into the final bill. The tax reform act did include other tax rule changes that potentially could affect homebuyers, including limiting how much interest and real estate property taxes may be deducted. Jan. 18: Should Chicago follow the lead of New York City, San Francisco and Washington, D.C. to enact rent control? We hear from both sides of the debate. Jan. 10: If you’re looking to buy an affordable home near public transit, highly rated schools and other neighborhood perks – one real estate website says look no further than Chicago. May 2, 2017: Data released by the Institute for Housing Studies at DePaul University outline substantial year-over-year gains in the price of single-family homes in Chicago neighborhoods of Humboldt Park and Garfield Park.